Use either chakra (and only support Win 10) or one of the small JS engines (mujs, duktape). Generate the bindings using winapigen. 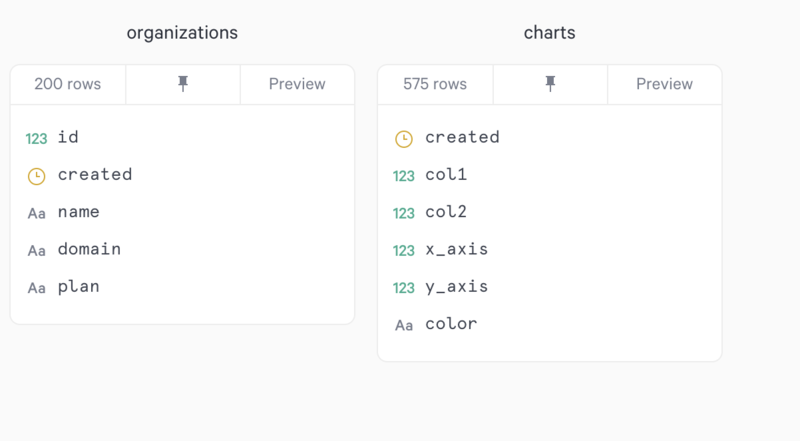 Could also make it into more generic visualization tool for misc system resources like processes. A quick way to make system utilities. This is an idea for a better code browsing tool. Have you ever flip flopped between multiple files when trying to understand a large code base? I did, many types. Even the most advanced code browsing tools, like SourceGraph, are very frustrating when trying to understand code. The issue is this: we're not trying to understand 100 thousand lines of code at once, because that's not humanly possible. We browse the code to understand a tiny portion of a large code base but the tools are not made for that. We can do full text search, maybe with semantic understanding but when the parts of the code needed to understand a given concept spans several files, we must jump between files and loose context. The idea is rather simple: augment standard search capabilities with a scratch buffer and add ability to quickly add parts of the code that are interesting (either by one-click add of a function / type etc. or select the code and add). This scratch buffer allows to gather all relevant code in one place. Write a tool for visualizing Go binary size. Could be web based on windows / mac app. Or all of them and use web based version to let people try the app but for heavy use direct them to $29-$39 windows / mac app. Write the simplest thing: publish notion page (or pages) under a custom domain. Charge $12/year for it (or a one-time payment of $29). 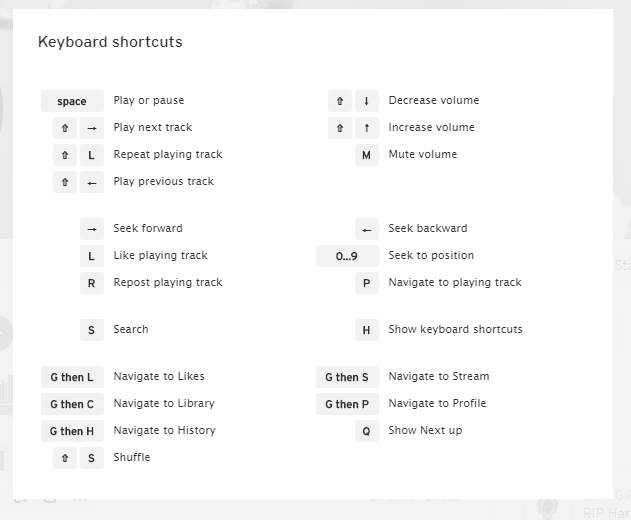 From soundcloud, nice design for showing keyboard shortcuts. Useful e.g. for comic book reader. For sumatra online: https://github.com/arkokoley/pdfvuer A good starting point for view UI. It's based on pdf.js. maybe a mini-status that shows e.g. current page number, always visible. They key is that it's small. Written on Mar 26 2019.